With a record of one win, one draw and 13 defeats at White Hart Lane in the Premier League era, history weighs against Sunderland as they chase their first victory of the 2016/17 Premier League against Tottenham Hotspur on Sunday. Adrian Clarke assesses the task facing David Moyes as he strives to turn his side’s fortunes around against a Spurs side boasting quality throughout their ranks. Putting aside any differences in quality or style, Spurs almost always run faster, further, and harder than Sunderland. So in a purely athletic sense, the hosts hold a distinct advantage in Sunday’s late kick-off. Demanding that his players move themselves, and the ball, at a high tempo, teams managed by Mauricio Pochettino are better equipped than most to stretch opponents who focus on keeping a compact defensive shape. No matter how well drilled they are, Sunderland will find it hard not to be pulled around by Spurs’ energetic approach. In contrast, Sunderland’s workrate has dipped in the early weeks of Moyes’ reign. Sprinting less often, and covering on average 5.3km less in each fixture than in 2015/16, the Black Cats players have a responsibility to push themselves much harder. It is not just in the running stakes that they lag behind. Since Sam Allardyce left Sunderland for the England job in the summer, they have lost some of the tenacity that helped them stave off relegation last season. Dropping from 20.2 tackles a match (7th in the PL rankings) in 2015/16 to 14.2 (19th) this season, more aggression is needed to climb the table. In the early weeks Sunderland have been unexpectedly passive, not a quality usually associated with their Scottish manager. Sunderland must learn quickly from the mistakes made in Monday night’s 3-0 home defeat by Everton. Loose marking, poor positional play and a lack of communication resulted in a disjointed rearguard who were picked apart by the rampant Toffees. To bounce back at White Hart Lane Sunderland must attempt to repeat the disciplined approach that earned them a point at Southampton in their last away fixture. That afternoon the back four blocked spaces very well, soaking up the home side’s pressure with relative ease. Moyes opted for a three-man midfield at St Mary’s and although he reverted to a 4-2-3-1 on home turf, I believe that, for now at least, having an extra body in there is a necessity. Towards the end of last season Lee Cattermole, Jan Kirchhoff and Yann M’Vila forged a solid triumvirate. Together they wrestled control of midfield and laid a platform for the attackers to shine. However, with injury having restricted Kirchhoff to just one appearance, Cattermole to none and M'Vila unable to extend his loan, a two-man Black Cats midfield has been deployed. Moyes has experimented with combinations involving Jack Rodwell and either Lynden Gooch, Steven Pienaar, Paddy McNair or even John O'Shea but the midfield has appeared too detached from the front men. Conceding the bulk of possession to each opponent so far, and mustering a 69.8% pass accuracy across the first four matches – the second lowest figure in the division – Sunderland must learn to look after the ball better. This will invite less pressure, and help them provide better service for Jermain Defoe, too. 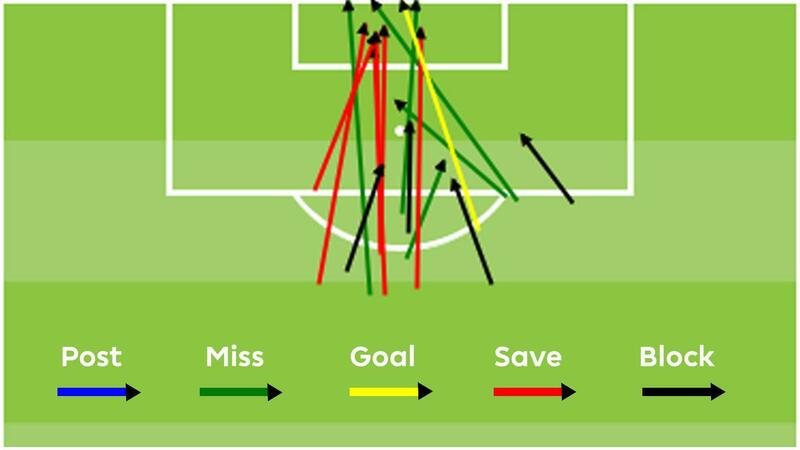 The striker has scored in both away contests this season, including once from the penalty spot, but has touched the ball just 37 times on his travels. Having a third central midfielder in the starting XI will stabilise the team and help them get more of the right passes into their forward players. Moyes will at least be encouraged that Cattermole is in contention for a return on Sunday, while new signing Didier N'Dong, who made a first cameo appearance against Everton, may also offer steely reinforcement. While Spurs have the ability to come at you from all angles, they are particularly powerful down the right, where they have accurately picked out runners in the box. Five of Spurs' seven PL goals this season have stemmed from forays down this side. Kyle Walker has laid on two quality assists, while Eric Dier and Christian Eriksen have also chipped in. This will sound alarm bells for Sunderland left-back Patrick van Aanholt, who struggled on Monday. The Dutchman adds pace and verve in the attacking third but his lack of a natural defensive instinct was exposed during the loss to Everton. Moyes will ask Van Aanholt to defend narrowly where possible, but he will need plenty of protection from the midfielder who plays in front of him. If that is not forthcoming, 2 v 1 overloads could give him problems. I expect Walker and Eriksen to receive plenty of service on Sunday. Although they romped to a wonderful 4-0 success at Stoke City last time out in the league, Spurs have not been quite as fluent on the ball as they might have hoped in the first few weeks of 2016/17. The absence of suspended midfielder Mousa Dembele is a probable reason for that. The cultured Belgian was outstanding last term. Keeping the ball beautifully, defending expertly and breaking the lines with his trademark bursts, the north Londoners always looked a better, more balanced side when he was in the heart of the team. Excellent at recovering possession and springing early forward passes it is also interesting to note that since the start of last season Harry Kane has scored only twice in 14 matches when Dembele has not started. The Englishman’s record when the playmaker has been in from the off reads 24 goals in 27 matches. With his six-match suspension completed, Dembele is available for selection this weekend and will force a decision on Pochettino: Does he bring him straight back into the fold at the expense of Victor Wanyama? If Wanyama loses his place it will be harsh on the summer signing from Southampton. He has formed a physically intimidating double-pivot pairing with Dier, which has kept Spurs solid. Scoring once, and generally looking at home in his new surroundings the Kenyan has impressed. As shown in the table above, though, Dembele is player who offers more all-round qualities. His data from last term tops anything his team-mates have managed in the first four Premier League fixtures and there are few doubts his return will give Spurs greater composure in the centre of the pitch. His tendency to look for forward passes will also make a difference. If he does not start on Sunday, Dembele will regain his spot as a regular very soon. 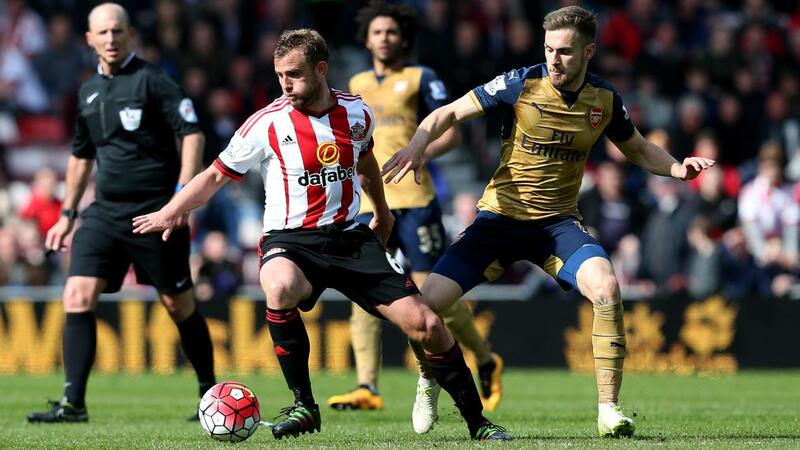 It is hard to build a case for a Sunderland victory at White Hart Lane. They have yet to nail down a defined style that offers both defensive consistency and a goal threat, while new partnerships are still being developed all over the field. With so many new faces, it may take a few more weeks for Moyes to find the cohesion he wants. Spurs hold a high line, so the pace of Defoe and Duncan Watmore will offer some hope to Sunderland on the counter, but will they see enough of the ball to cause damage? From the hosts’ perspective, when Pochettino has a fully fit squad available, Spurs have few flaws. On the back of a convincing triumph last weekend, and with competition for places intensifying, I expect a dominant home display. To successfully withstand Tottenham Hotspur’s fast, pressure football, it will take a heroic effort from the Black Cats.